I mostly love to cook, but sometimes it can be a drag. There. I said it. I used to know what to do about that: Don't feel like cooking? Frozen lasagna it is. Forgot to go shopping? Grab a box of "Helper" from the pantry and make do. REALLY don't feel like botheringing? Let's get a pizza or a bucket of chicken. 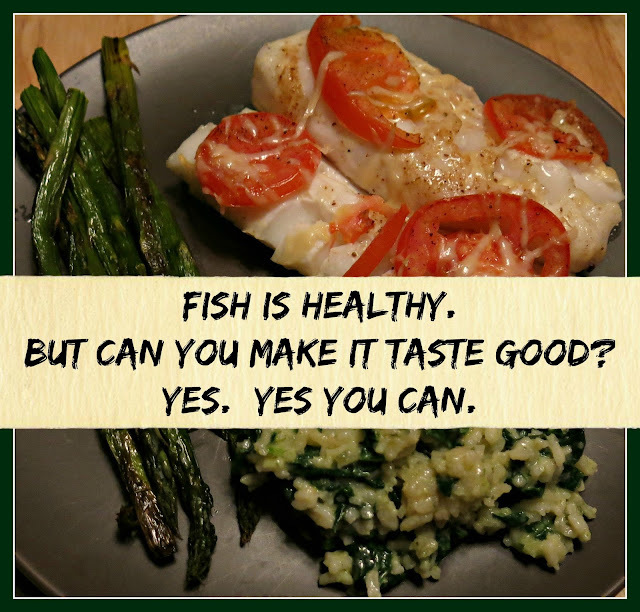 Well, I don't have those options any more because I made the commitment over a year ago to eliminate processed foods from my family's diet. That means no cans, no boxes, no jars, no pre-assembled anything. If I don't know what's in it, we don't eat it. And the only way to know what's in it is to make it yourself. It has been an adjustment. Early on, I felt like I spent 72% of my life either chopping, cooking or cleaning up after all that chopping and cooking! But it's not so bad any more. Partly I have gotten used to the new way of doing things. Partly I have found new and better strategies for putting a healthy meal on the table when I'm more in the mood to hit the "good old" burger drive-through. White fish fillets like tilapia or cod are great for that purpose. Why? If they are frozen, you can thaw them very quickly by immersing them for maybe half an hour in cool water in your sink. They also cook up quickly with very little prep. 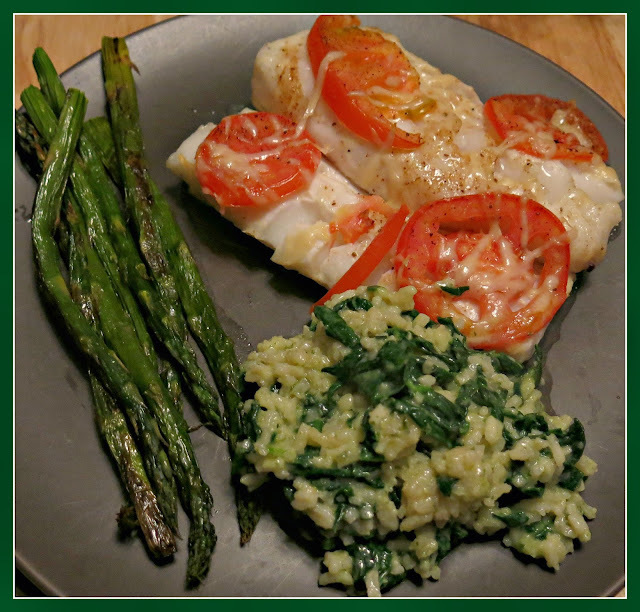 My favorite quickie fish dinner is baked cod, topped with fresh sliced tomatoes and jazzed up with a little spice. A buttered baking dish big enough for the amount of fish you plan to cook. I like glass baking dishes because they are non-reactive and don't stick. 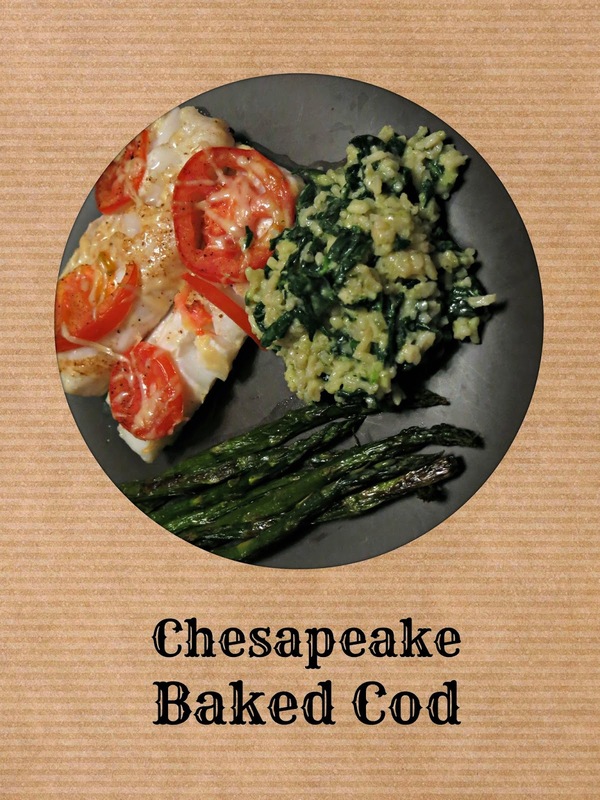 About 3/4 pound of cod fillets per person. 2 or 3 sliced tomatoes. Romas work very nicely because they are firm and have fewer seeds, but use whatever you've got. A fresh lemon for juicing. About a 1/4 cup of fresh, grated Parmesan cheese. Some Old Bay seasoning. Okay, I said I don't eat anything processed or pre-assembled, but check out the ingredient list on a tin of Old Bay seasoning. There is nothing unrecognizable in it, so this one passes. Arrange your fillets in the baking dish. Add the juice of 1/2 a lemon to each tablespoon of melted butter you are using. Brush this mixture onto your fish fillets. 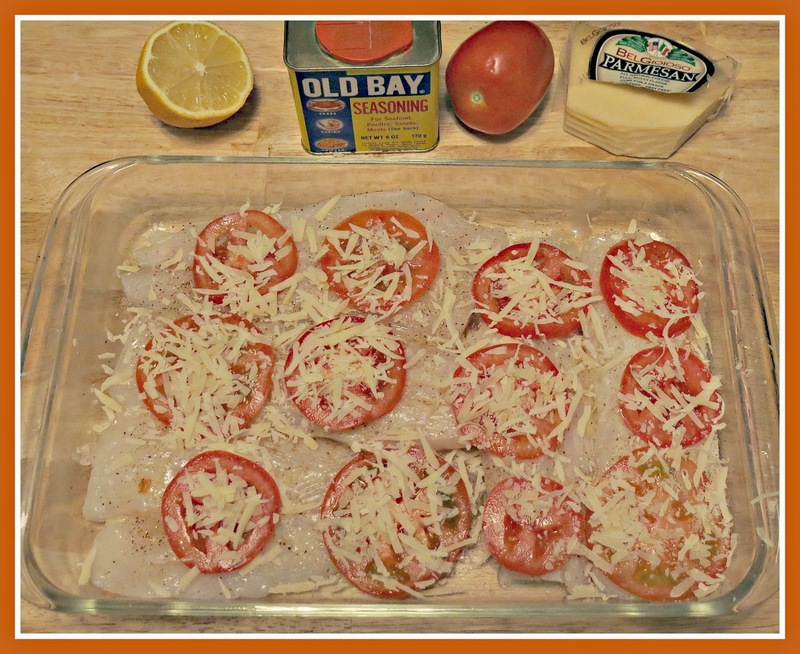 Sprinkle the buttered fillets with Old Bay to taste. Arrange the tomato slices on top to cover the fillets. Top all with grated Parmesan cheese. Bake uncovered for 10 minutes, and then switch to broil to get the dish slightly browned and bubbly on top. This dish is delicious, healthy, and takes almost no time to prepare.